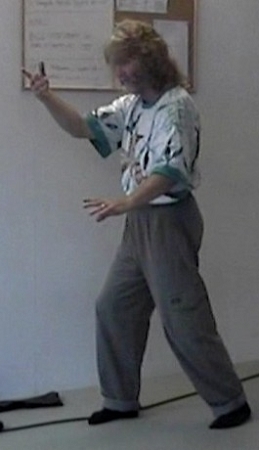 In this series, Erle Montaigue shows some of the best methods for developing the Qi using stand-alone Qigong methods as well as methods taken from the Taijiquan forms and used as stand-alone methods. This series is essential to one's Taijiquan training and internal martial/healing arts training in general. All of these methods have been tried and tested and only the very best are taught. The whole series is like a tool box of interesting and very helpful tools for the development and maintenance of your own Qi level, flow and general health and wellbeing as well as enhancing your own martial art and internal power. This tape also comes to you from Australia and Oslo Norway from Erle's March 1999 workshop tour.